With having the afternoon off I decided to pop round to my mum and dads. My sister was in and when I got there I was introduced to the new additions. A mama duck and her 2 ducklings! I only managed to get one photo because mama wouldn’t let us near her or her babies, for obvious reasons. My sister had placed a few bowls of water in the top corner of the garden in which the ducklings swam around in for ages. We even named them! One was Trodon (purely because he/she kept almost being trod on by mama duck!) and Bumblebee (because they were the colours of a bumblebee). 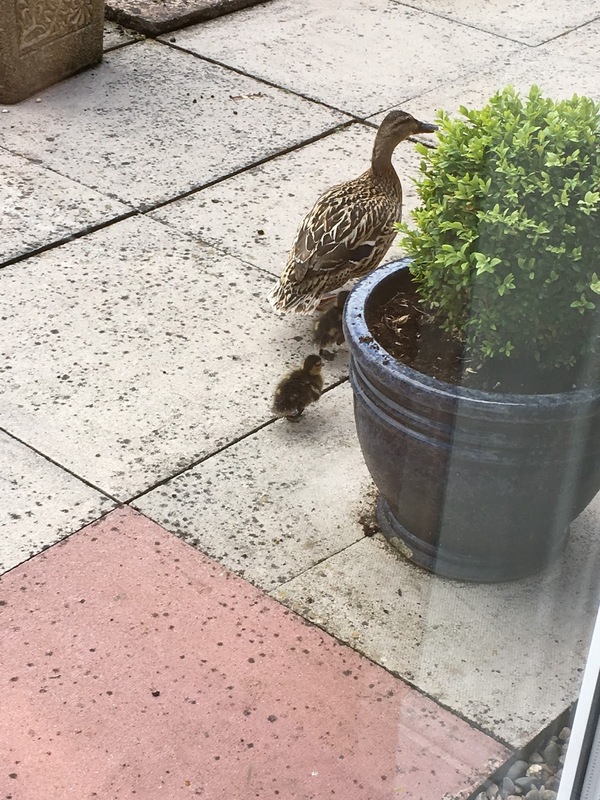 Mama duck eventually managed to escape the garden with one of her babies (we think it was Trodon) leaving the other behind squeaking away after her mama. Despite my best efforts I was unable to divert the fleeing mama duck and Trodon back into the garden to Bumblebee and she disappeared into the field opposite my parents house. With Bumblebee taking cover under the shed, we eventually managed to get her out and popped her in a cardboard box and took her on a hunt for mama duck. Now, I know you are hoping for a happy ending here, mama and baby reunited etc, but unfortunately we couldn’t find mama duck and so my sister called the local wildlife trust who advised us to take the duck to them as she would have a much higher chance of survival there than on her own. My sister drove Bumblebee out with dad, and she is now a patient with them. Hopefully she will now be ok as she is in safe hands and with people who know how to care for her and give Bumblebee her best chance. Previous Post Have You Voted?